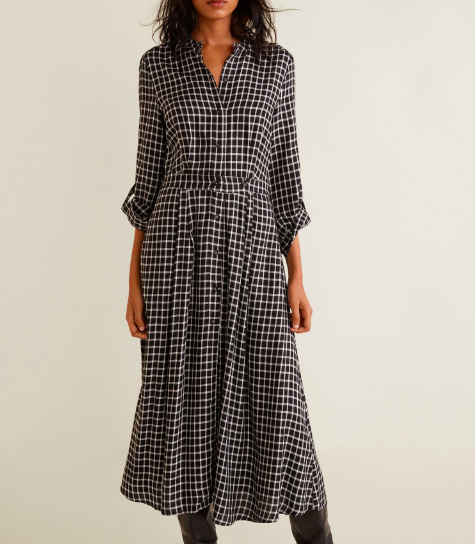 Plaid is having quite a moment this fall, and I’ve decided I’m way on board with this: there’s no more versatile print (except for stripes) and you can get up to all sorts of matchy-clashy fun with it. This shirt probably should have been in my Houndstooth post, but alas, I did not discover it in time. 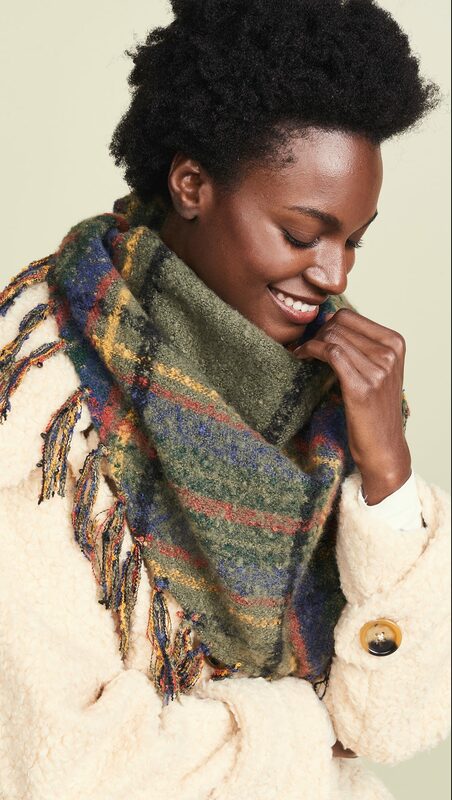 I love the nubby texture of this scarf. 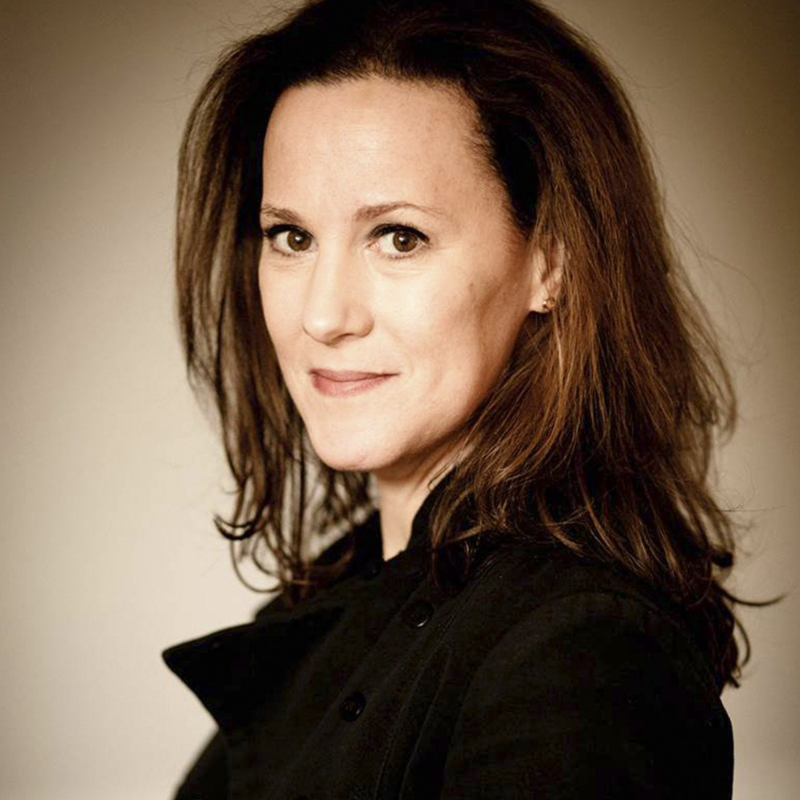 And the yellow accents on this blazer are really good. This skirt is so much of what I want in a skirt: a straight silhouette with a little bit of give, and an easy, wearable print. 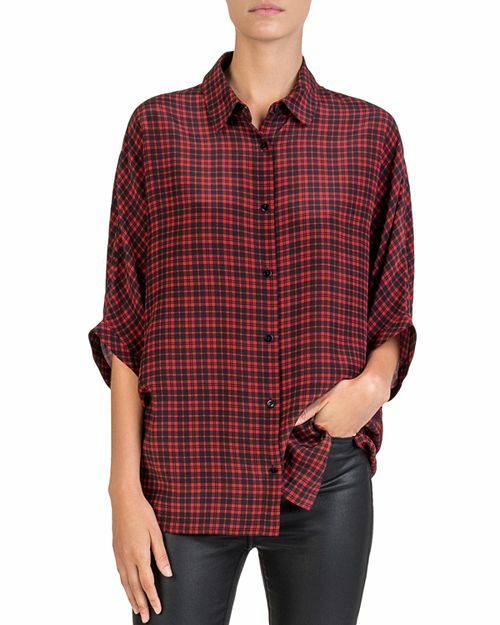 The sleeves on this silk shirt are so excellently slouchy. 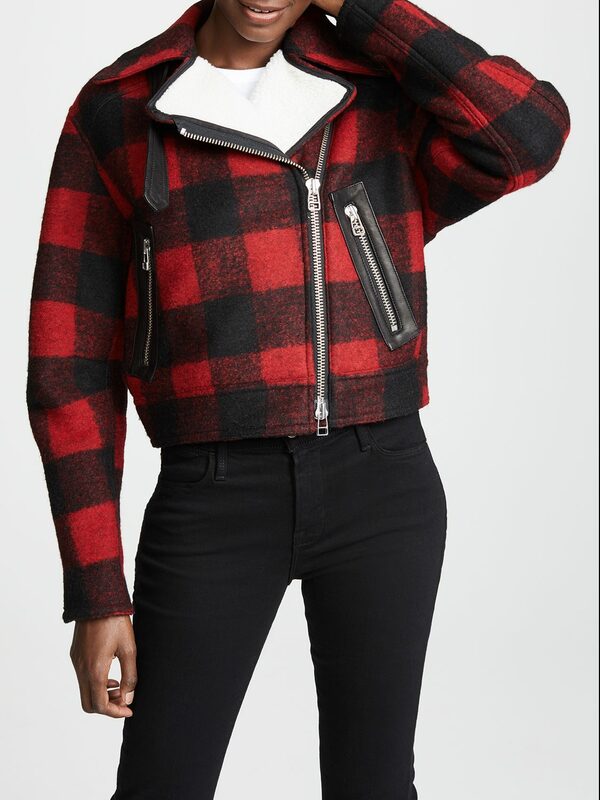 A fun take on the moto jacket: I’d wear it with a black-and-white striped tee underneath. 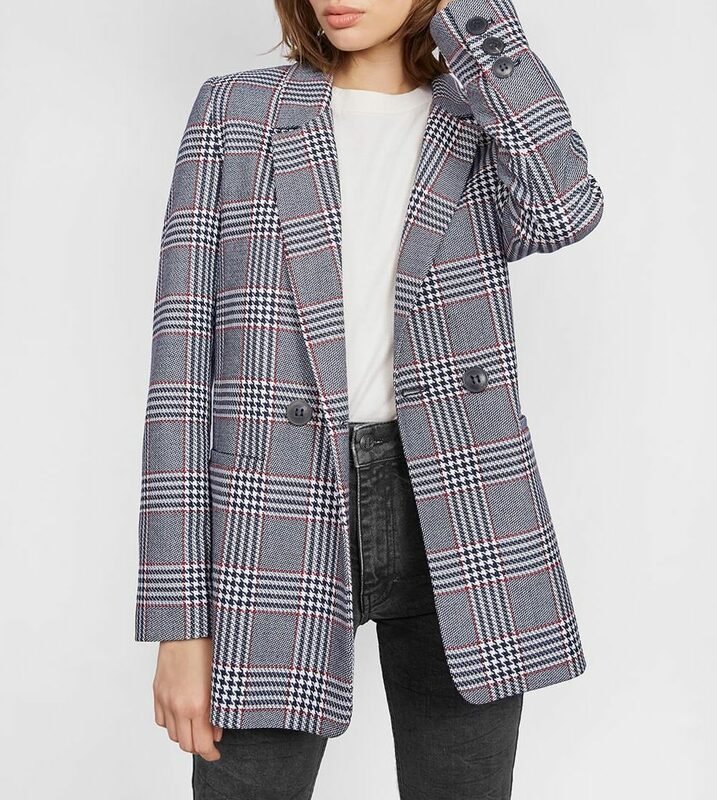 The kind of blazer you can throw on with the most boring ensemble and totally feel like you’ve created a look. 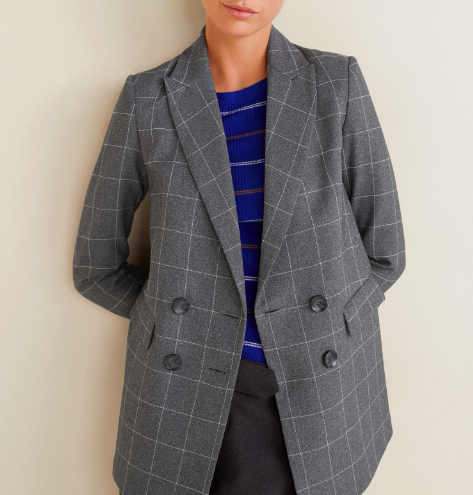 The print on this coat is so small that you could pair it with any other pattern, really. A pretty, feminine take on the plaid top. The pairing here of the bomber shape and the tie-neck is so inspired. Just a good, menswear-inspired coat. 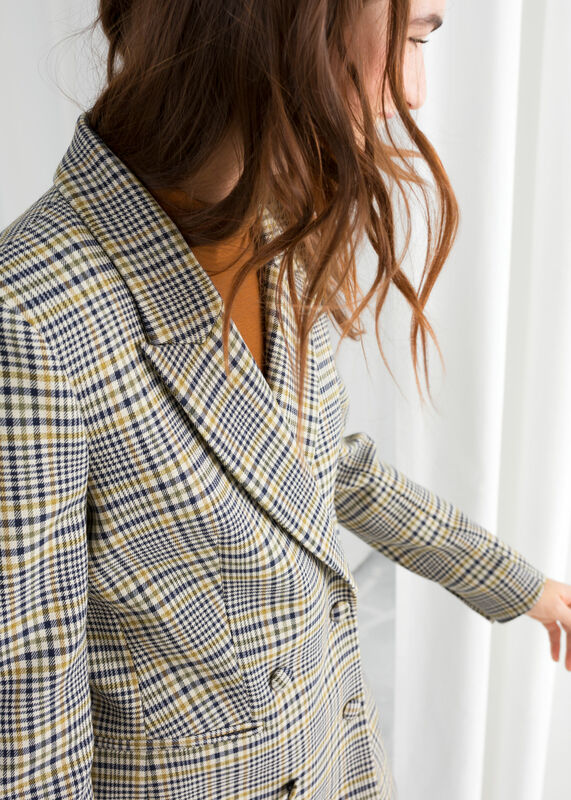 I do love a windowpane plaid, I think because the first big fashion purchase I ever made for myself was an Anna Sui windowpane plaid miniskirt suit in about 1989. I like the frayed hem on this shirt, and the cool color combination. 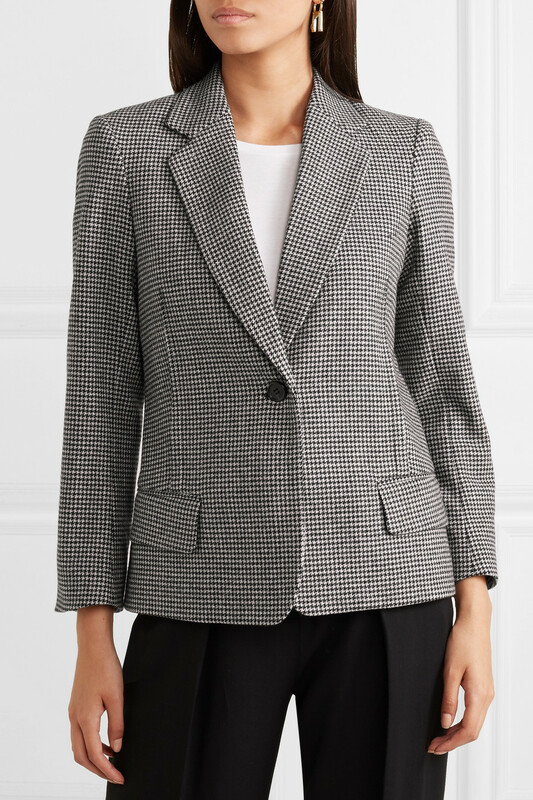 I showed you the pinstripe version on this Nili Lotan blazer last week, but the plaid is too good not to share as well. A perfect coat for kicking around on the weekend. 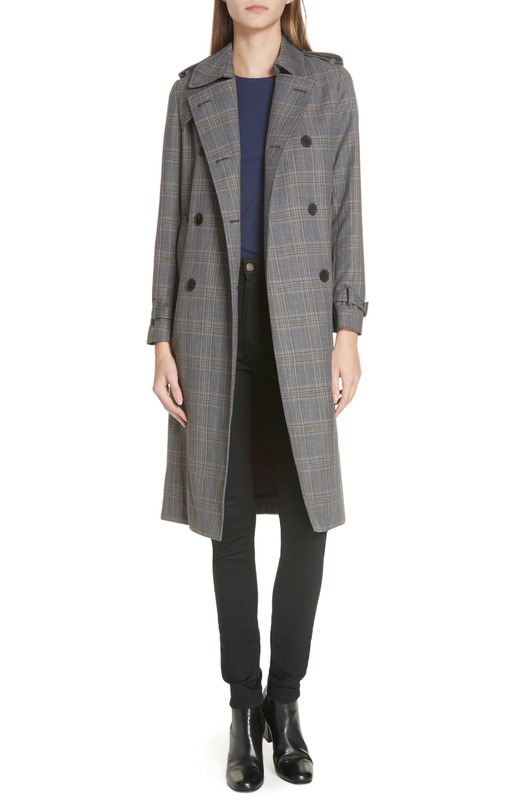 And this trench couldn’t be a whole lot more classic. A pair of perfectly snappy trousers that I’d wear with pointy-toed ankle boots and a big red turtleneck. The cut of this dress is flowy and sweet, but also appealingly clean-lined. Went to see a Star is Born yesterday. It’s everything I wanted it to be and then some. Enjoy! Old Navy has a great plaid trouser (skinny ankle pant) for 1/10th the price of your option. Thanks for the plaid! 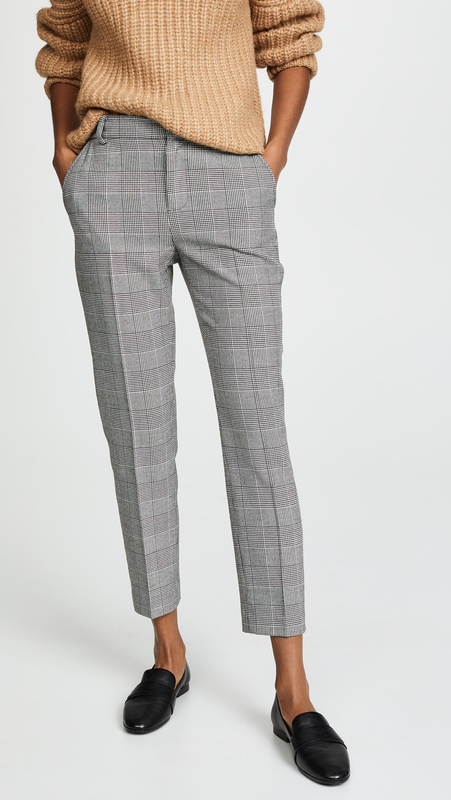 Old Navy has a great plaid trouser (skinny ankle pant) for 1/10th the price of your option. 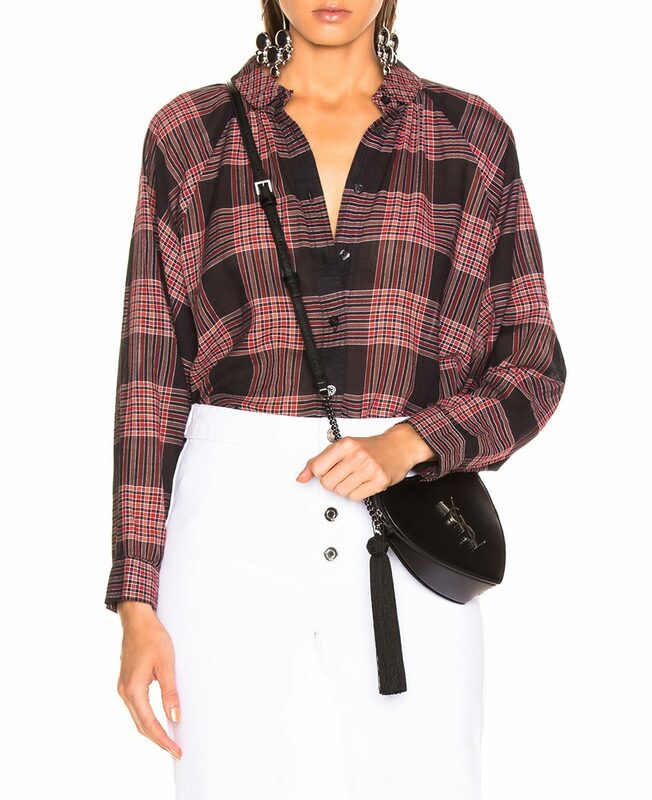 Snappy plaid pants are on my MUST list this fall! MAJOR SPOILER ALERT! A Star is Born is so insanely good—don’t read that article unless you’ve already seen the movie! You definitely don’t want to have the ending blown before you see it. I can’t wait to see it again! MAJOR SPOILER ALERT! A Star is Born is so insanely good—don't read that article unless you've already seen the movie! You definitely don't want to have the ending blown before you see it. I can't wait to see it again! Agree. that advice came too late for me. 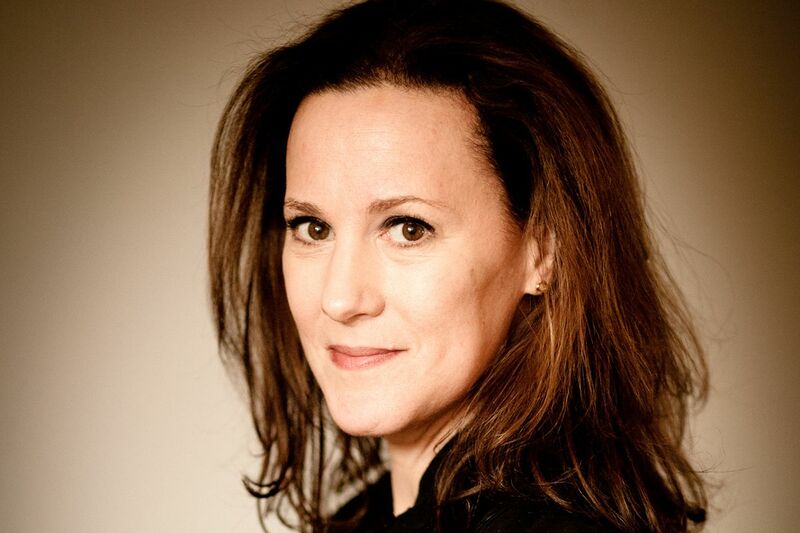 Listened to Sandra Bernhard on Sirius radio on Monday and she spoiled the ending. Why must people do that!? Me too (feeling the plaid)!!! 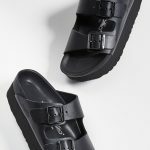 Most of these are too tasteful for me though. Hmm. 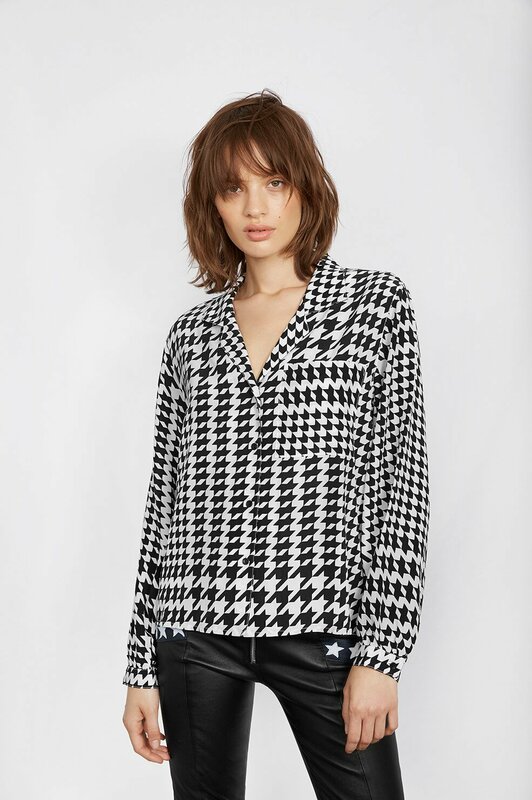 Love that first houndstooth blouse! I am also feeling the plaid (& houndstooth)! 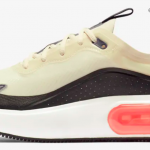 Thank you for the blazer recs, they are hard to find since most are sold out. Looking forward to part 2. The majority of the dresses I wore in elementary school were plaid. Mother loved a plaid dress––particularly if there was a scratchy petticoat attached. I’m still working through my anxiety over those plaid dresses. I will wear a good plaid flannel shirt so I’m not hopeless! The majority of the dresses I wore in elementary school were plaid. Mother loved a plaid dress––particularly if there was a scratchy petticoat attached. I'm still working through my anxiety over those plaid dresses. I will wear a good plaid flannel shirt so I'm not hopeless! I love plaid, especially a windowpane pattern. 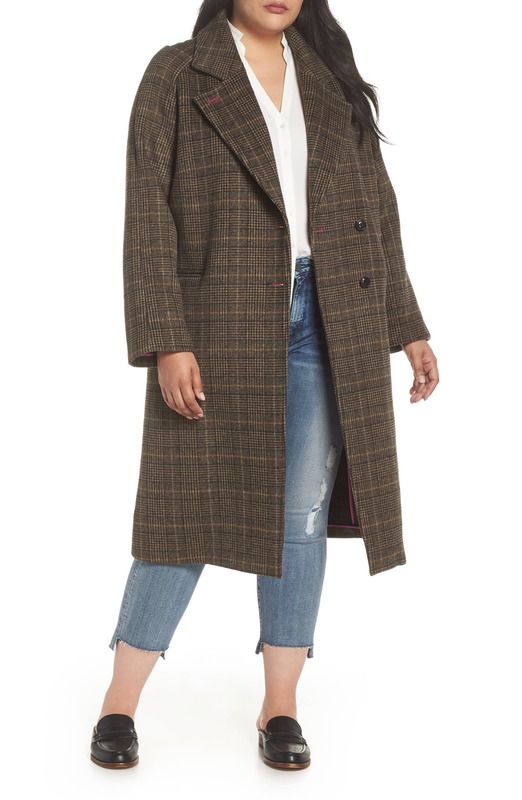 I have a pair of Banana Republic’s sloan pants in plaid that I wear all of the time..
Ive been eyeing a navy plaid wool coat by Vince, and so I love the coats you’ve featured. 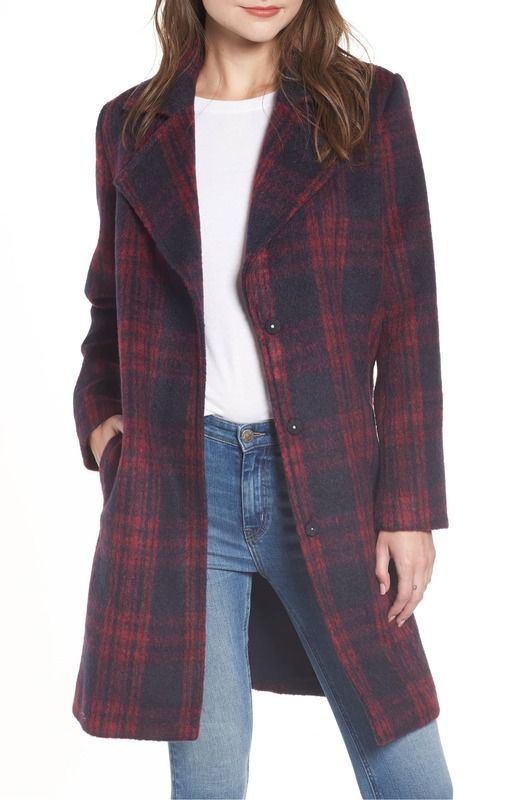 Luckily, I suddenly remembered that I have a gorgeous wool plaid coat that I got on-sale at Madewell. Money saved! Cha ching!